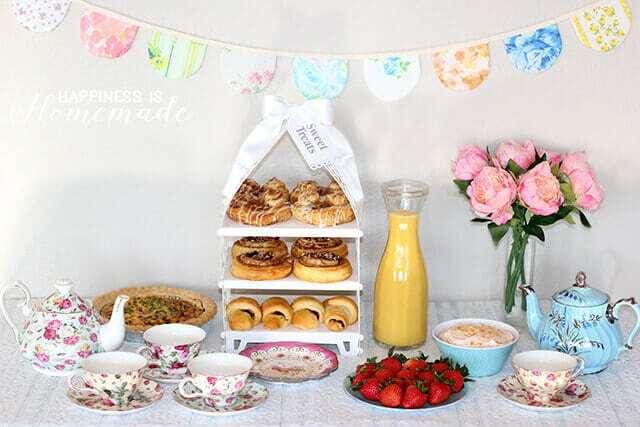 I love to have my girl friends over for Girls Day In, and once a month or so we like to get together for breakfast or brunch while we chat and catch up with each other. 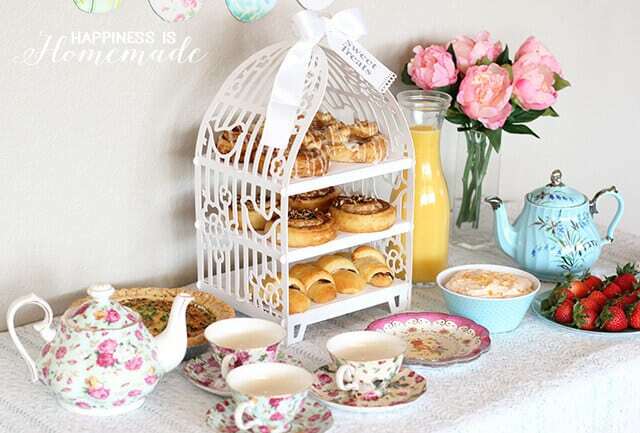 This month I hosted a vintage inspired tea party breakfast, and we had such a good time sipping on tea from these pretty vintage tea cups and eating our goodies! On the menu: breakfast and herbal teas, bacon and spinach quiche, fresh fruit, orange whipped cream, orange juice and warm-from-the-oven sweet rolls and baked goods. 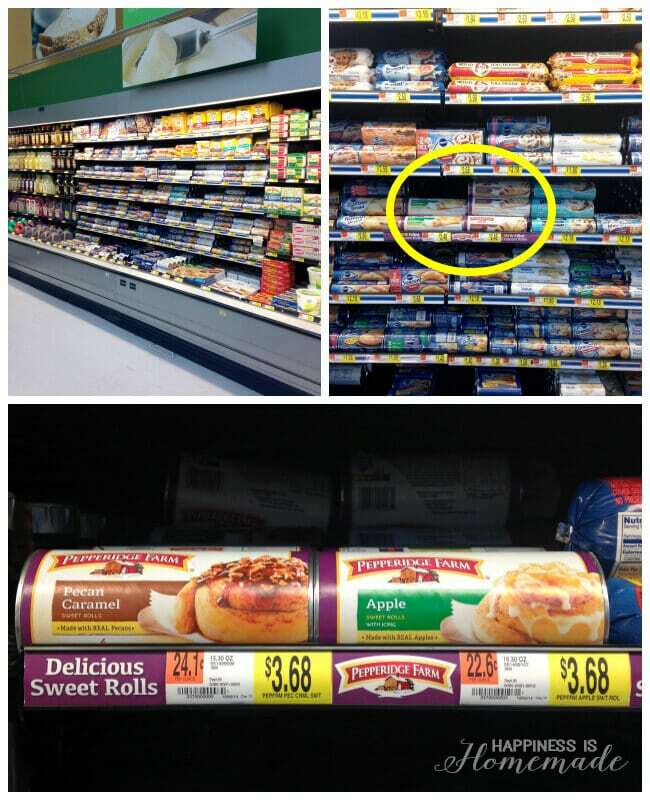 I was wandering the aisles at Walmart trying to decide what to serve at my breakfast tea party when I discovered these Pepperidge Farm sweet rolls in the refrigerated dough section. Perfect! I love party food that’s quick and easy to make! 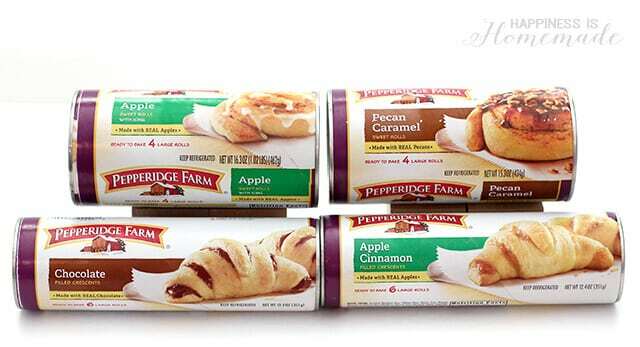 I ended up bringing home Apple and Pecan Caramel sweet rolls along with Chocolate and Apple Cinnamon filled crescents. Each variety comes with packets of scrumptious sauces, fillings and toppings that are sure to please, and all of them bake up to golden perfection in under 15 minutes. 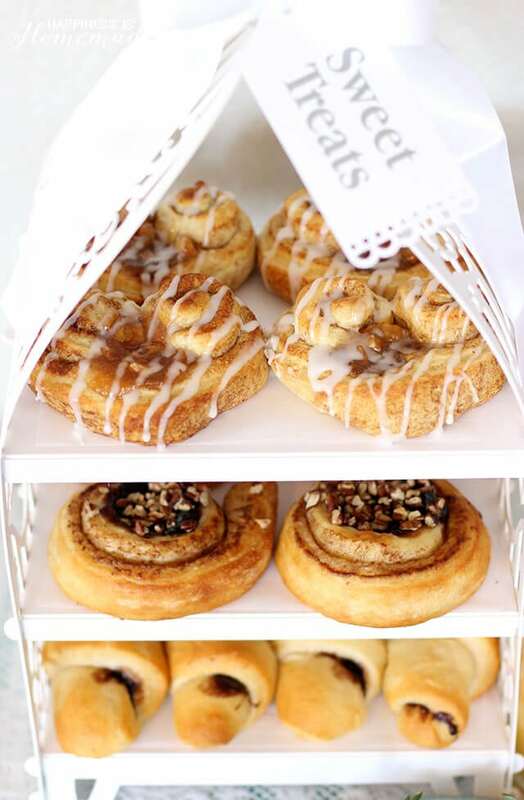 Using pre-packaged pastry dough is a fantastic way to serve your guests a multitude of options with minimal effort! 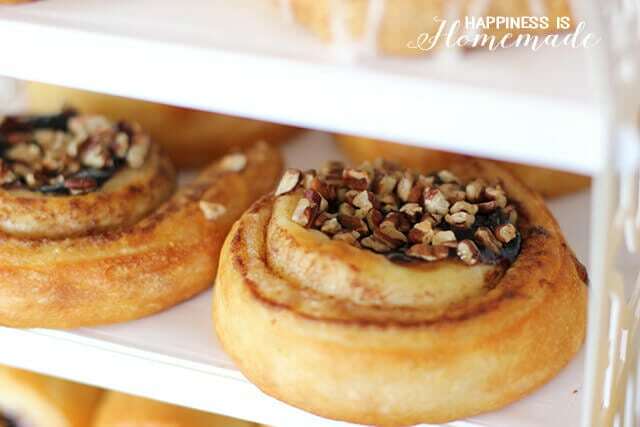 There’s something incredibly inviting about walking into a home that smells like fresh baked goods, and these sweet rolls not only tasted delicious, but they added a delightful fragrance to the party atmosphere. I rolled the apple sweet rolls into heart shapes because it’s February, and I’m especially smitten with hearts around Valentine’s Day. They looked adorable! 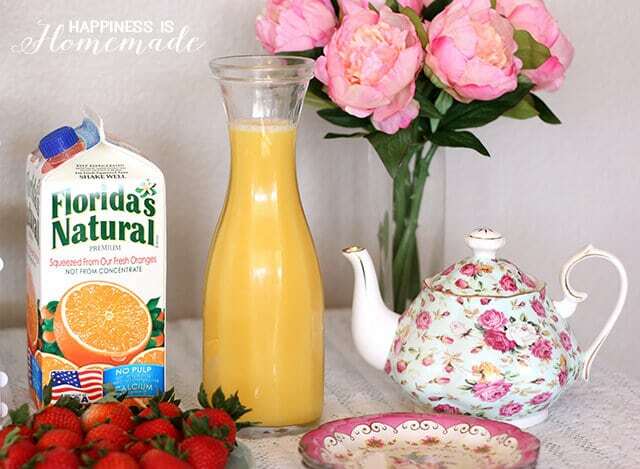 Nothing goes better with tea and pastries than 100% Florida orange juice and fresh fruit. My guests are all fond of strawberries, so I loaded a platter with plump juicy berries, and filled a carafe with fresh orange juice. 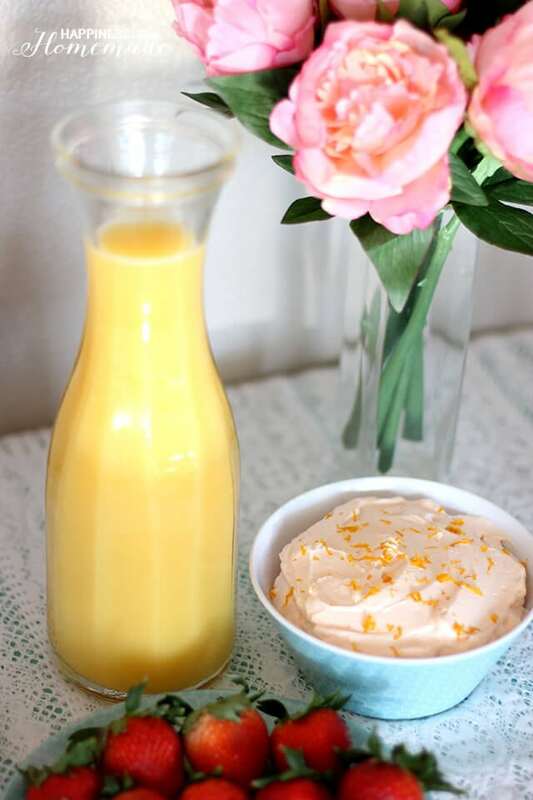 Tea parties always call for a fancy fruit spread or dip to accompany the baked goods, so I whipped up a fresh orange whipped cream that was to-die-for! 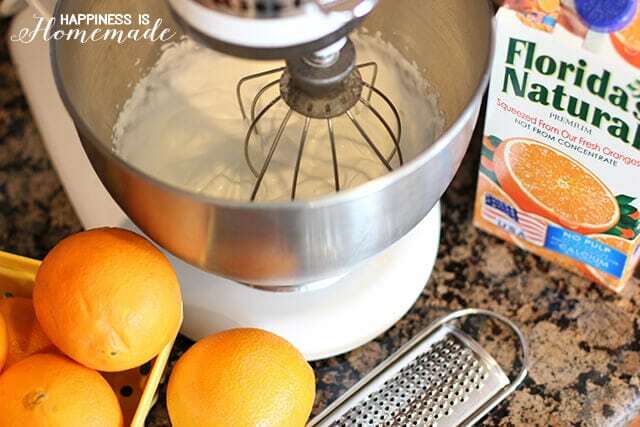 I always follow this recipe from Living Better Together for making whipped cream, and I added 3 tbsp of orange juice and 1 tsp. of fresh orange zest to the recipe during the last minute of whipping. I also added one drop of orange food coloring to make the color more noticeable. 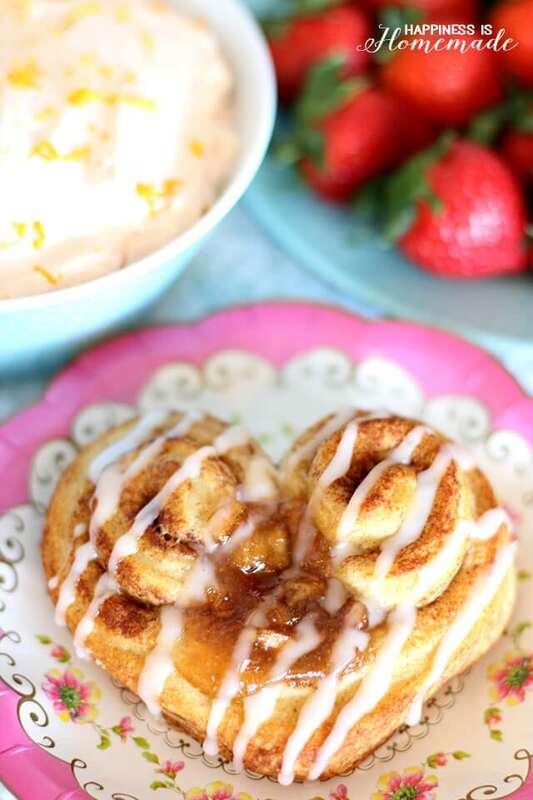 Top with a bit more orange zest, and serve alongside both the strawberries and the sweet rolls! 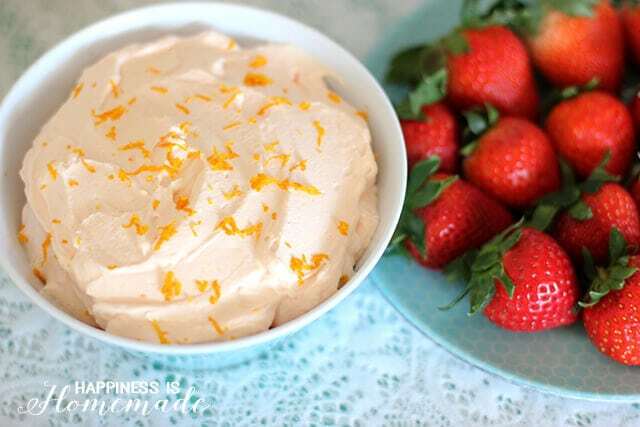 The whipped dip tastes like a creamsicle, but with a more natural orange flavor that my guests raved about! All of the food and drinks came together to form a perfect breakfast buffet. I love the way that the freshness of the strawberries and richness of the quiche helped to balance out the sweetness of the Pepperidge Farm sweet rolls. 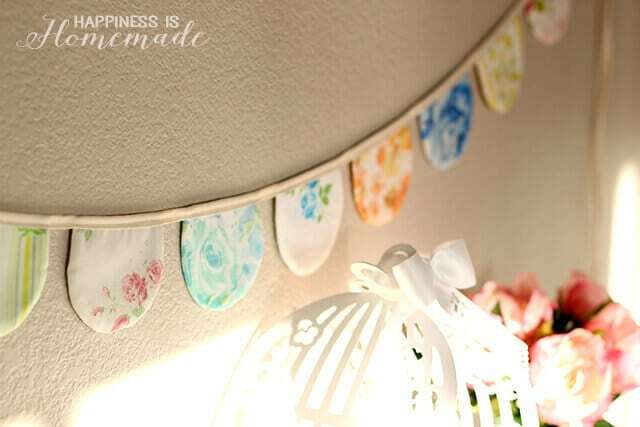 The sweet scalloped vintage sheet banner was made by my friend, Bev, at Flamingo Toes. She makes the most gorgeous projects from vintage sheets, and you probably know that I absolutely adore vintage sheets (did you see my DIY vintage sheet headboard?)! My boys were thrilled that there were a few leftovers for them to sample after the ladies went home. 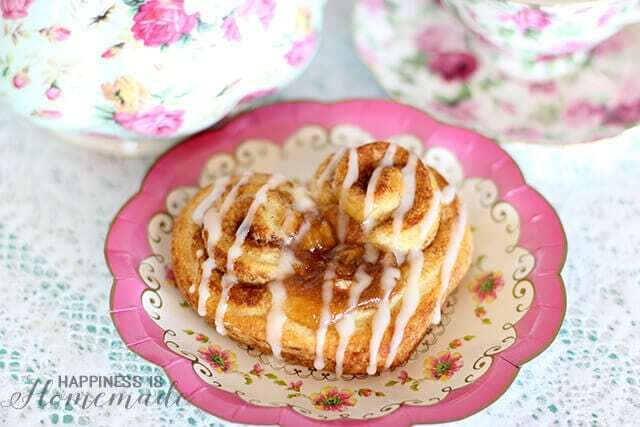 They flipped out over the heart shaped apple cinnamon sweet rolls! 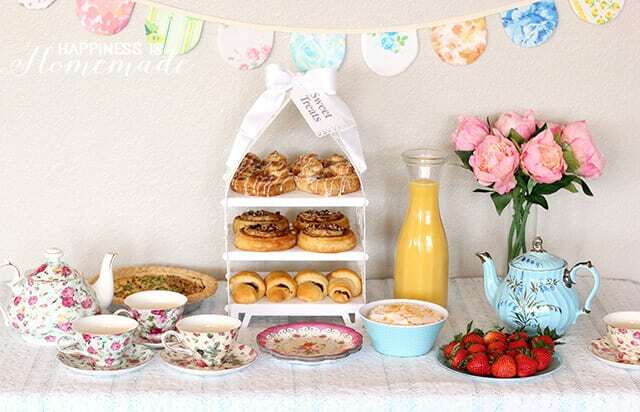 Throwing a tea party breakfast doesn’t have to be complicated or time consuming. All of these ideas came together in just a short while, yet it looked totally impressive to my guests! We had a blast eating breakfast and spending time together, and it was the perfect way to wake up our day! Everything looks so pretty and delish! How did you get the heart shape? This would be perfect for my hubby on Valentine’s day.